Technology has helped us a lot in every aspects of life so as in communicating also. But the fact is now phone is not used for communicating but it can perform a bunch of works simultaneously so it can be called smart. Now transaction has occurred phones to smart phones with smarter apps. Today we can find vast range of smart phones and day by day it is becoming tougher to decide which one to buy. Each and every smart phone is designed with some exhilarating features. 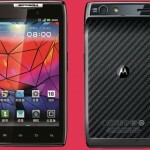 From those vast ranges of smart phones, Razr XT910 is the latest technology from the bags of Motorola. 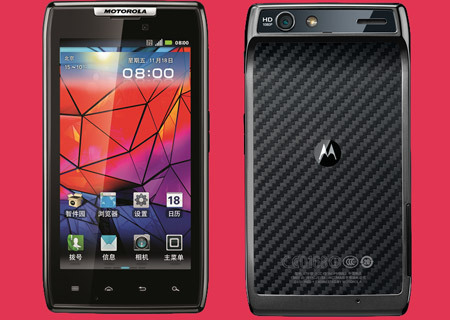 The new Motorola Razr XT910 is definitely sleek, slim and stylish in design but also equipped with many handy features. Regarding its display it comes with a 4.3inch AMOLED capacitive touch display with a resolution of 540 x 960. The display also comes with gorilla glass display and sensors like proximity sensors, digital compass, and accelerometer sensor. Regarding its memory, camera related features it has a memory of 16 GB and if needed can be expandable to 32GB having an 8 megapixel camera along with features like auto focus, zoom, LED flash, since it is a 3G enabled handset it has a front camera of 2 megapixel. All the dimensional features are discussed above, now coming to its operational features like it has a super class music player which is very useful for students or youngsters. Always remember now you can watch HD videos also in your mobile handsets or smart phones. You can play any song you want without missing a single and since it has a larger storage you can store numerous songs and videos and amuse yourself. Now if we analyze the name of the handset i.e. Motorola Razr XT 910. Razr word comes from razor because it is so slim that it acts like a sharp razor. So we can conclude the most important feature of this smart phone is nothing but its slimness. Yes Motorola handset prices can be costly comparing to the other smart phones but looking at the features it provides, you have no reason to say no.